How many of you have been to Spain? I have been to a wedding in Spain. Weddings in Spain are a time honored affair. They tend to start some time in the late afternoon, and last into the midnight hours. They are robust gatherings, which often features the delicate smells of orange blossom, and the sounds of Flamenco guitar music. In rural villages, they are large community gatherings. Men suit up in their Sunday best, and ladies in their best dress. Any females wearing strapless dresses use shawls to cover up their shoulders, as per the custom of their Roman Catholic churches. Which requires that no bare shoulders allowed, in the presence of Padres. Formal Catholic wedding mass can last between one to two hours, and a large portion of these rural Cathedrals have no air conditioning. In areas of Spain like Catalonia for example, follow well-scripted ceremonial traditions. These richly detailed, religious, masses are deeply rooted in their heritage. 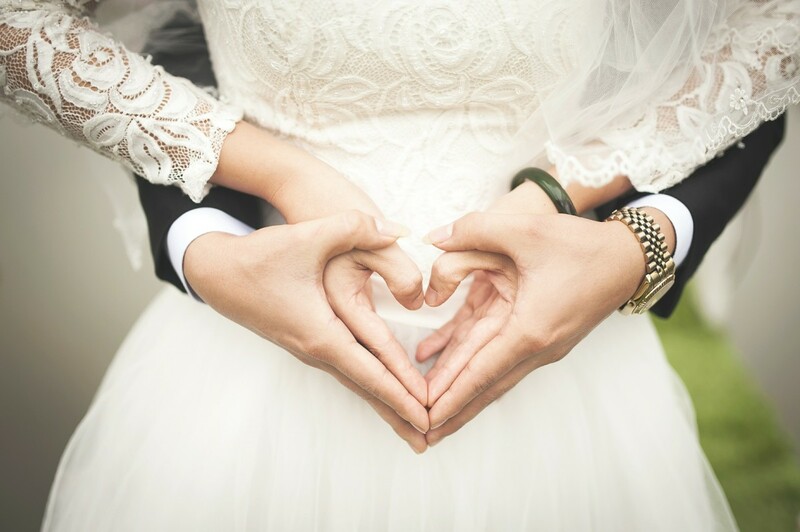 When it comes to the exchanging of rings, Spanish bridal couples place their wedding rings on their mates right ring finger. As oppose to how it is commonly arranged in America. Often here, wedding celebrations begin at the home of the Bridegroom's Godmother. This is where his family and groomsmen gather together first, before going to the church. 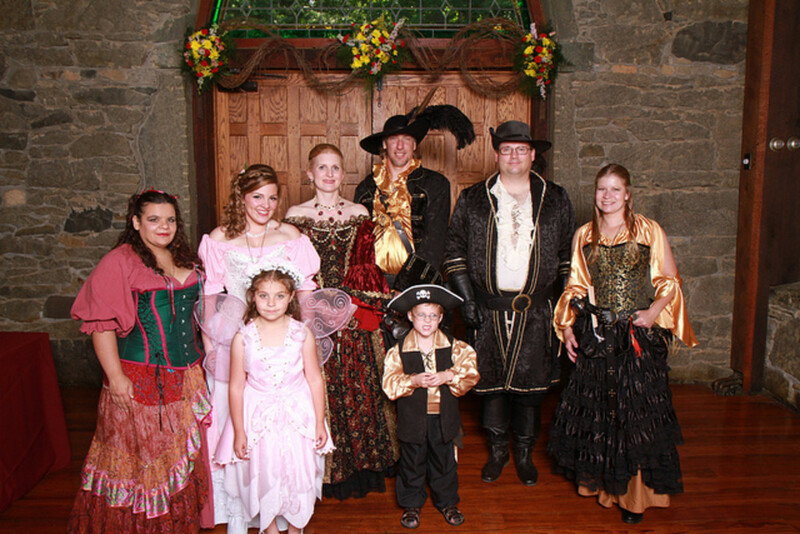 The bridegroom's family will host an informal meal, for the groom and his attendants. When it's time to leave, the entire group of attendants gather outside, and shoot off fireworks before the departure. From here, the groom and his Godmother travel together to the home of his future bride. The bride is then escorted by her Godfather, to meet the bridegroom and his Godmother awaiting her outside. The two are allowed to meet and greet one another other, before the groom presents his future wife with a gift of thirteen gold coins. 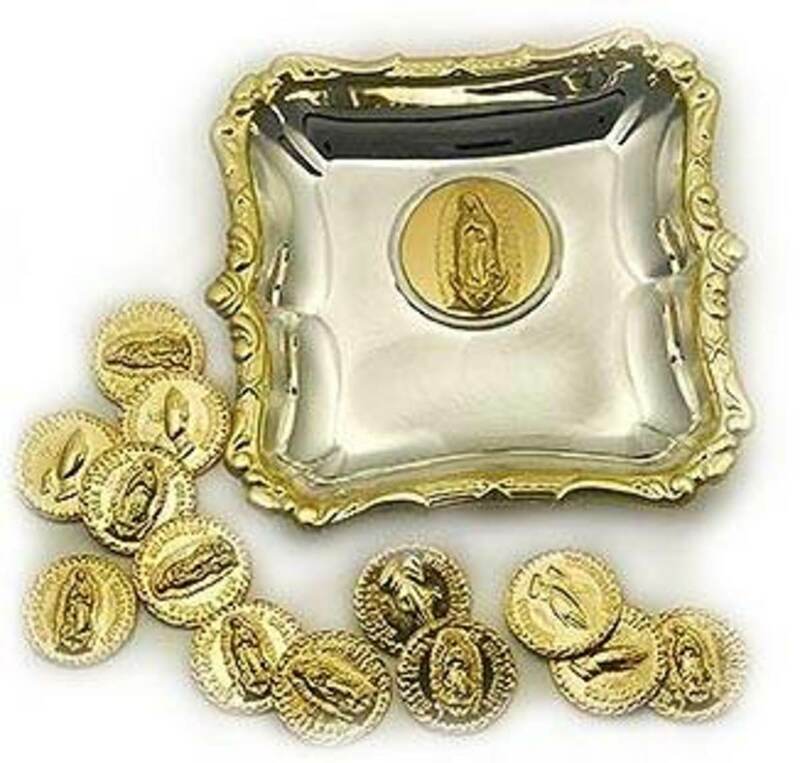 These coins are then carried down the aisle, to be blessed by the Padre for prosperity. 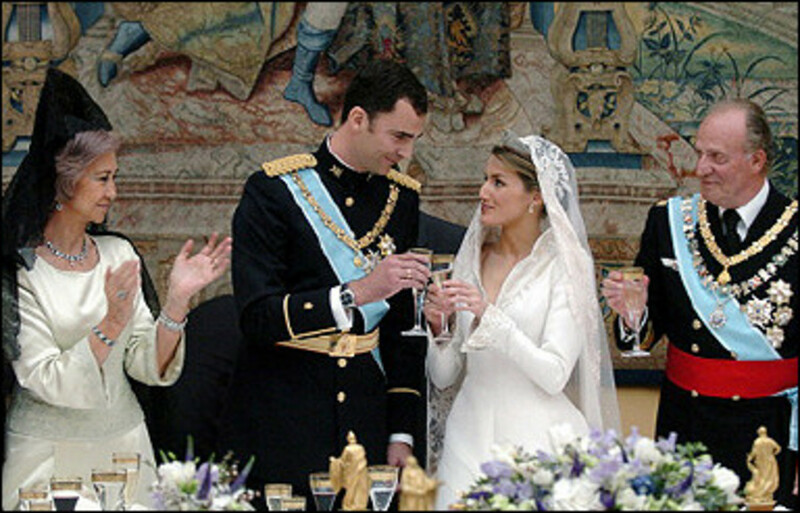 The old-world, traditional Spanish wedding dress was black. Yes, that is right..., black. 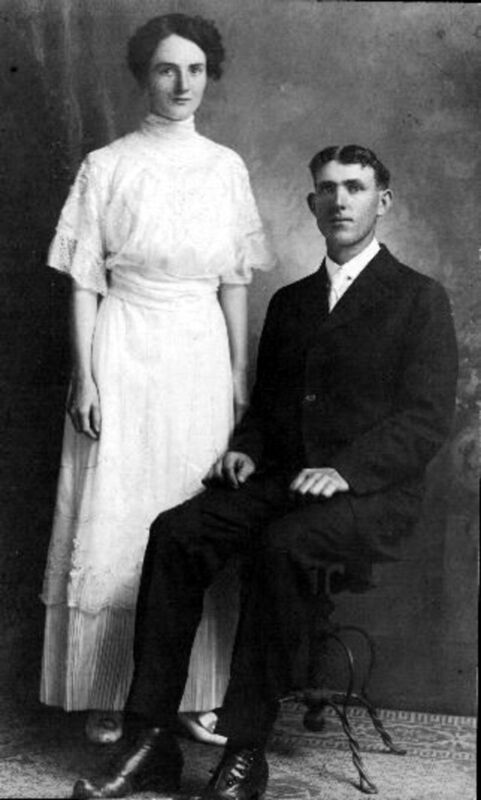 If you were from an effluent family, then the dress was usually made of silk. If the brides family could not afford silk, they substituted by using less expensive crepe fabric. Today's modern brides wear what they like. The old traditions have long gone by the wayside. Not only was the wedding dress black, but the cathedral length veil was hand-sewn, black, Spanish lace covered tulle. In some remote regions of Spain, these dramatically detailed veils, are still a time honored tradition. However, most modern Spanish maidens prefer to wear antique white, blush, or white ensembles. Mantilla veils are beautiful masterpieces of art. Seamstresses have hand-crafted this style of for over a millennium. 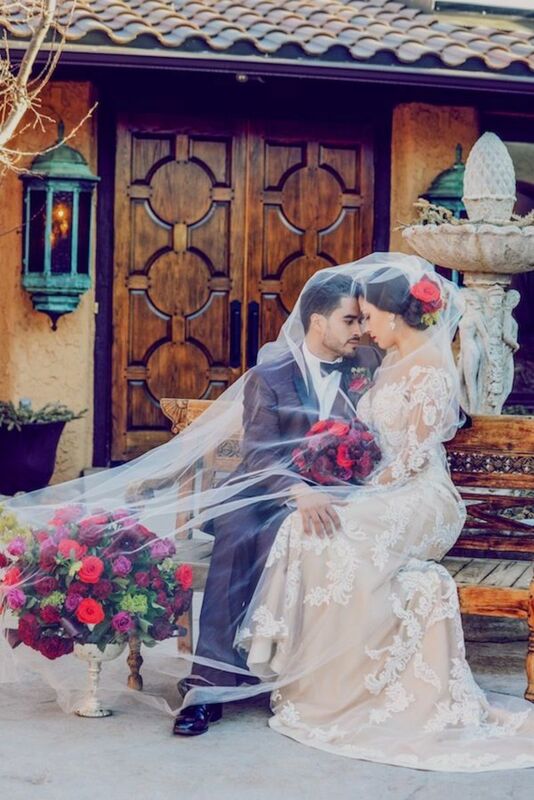 Since the veil is cut on the bias, it creates a sweeping over-the-shoulders look, while draping softly around the bride's face. A beautiful carved hair comb (often a family heirloom) is then sewn at the top of the veil, to keep the heavy veil in place. If you like this style, but would prefer a shorter veil; Mantilla veils can be handmade or special ordered in any length. Spanish brides have on average five or more bridesmaids standing beside them, when they say "I do." The Spanish tradition of bridesmaid selection is used all over the world. 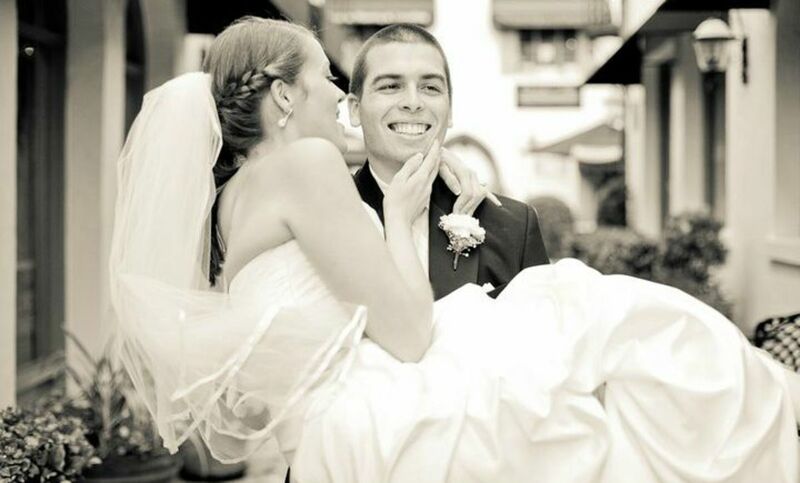 A Spanish Matron of Honour is usually the oldest or first married sister of the bridegroom. Another fun activity they have involves the single bridesmaids. All the single maidens are given an extra corsage pin, which they then wear upside down on their dress. Whosoever pin falls out first during the night, is believed to be the next lady to be married. 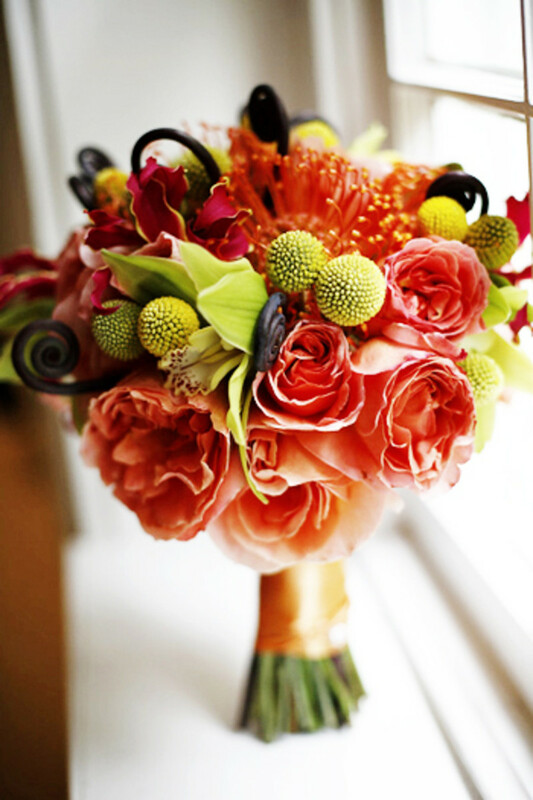 Orange Blossom floral stems are the traditional choice to used in arrangements for both the ceremony and reception. Orange blossoms have been a longstanding favorite because they represent fulfillment, wealth, and happiness. It is also worth noting that Spanish couples still throw rice at the end of their ceremony, unlike the more friendlier option of birdseed as used here in America. Church bells and loud blasts of firecrackers, are also used to signal the end of the wedding ceremony. At the reception bashful ladies still use their time-honored, Spanish fans to hide behind, and flirt with their male friends. Amongst the crowd of happy-go-lucky guests, live music and lots of laughter usually fills the room. Spanish wedding receptions are notoriously exuberant gatherings. Because of wedding pictures and formalities, it usually takes the bridecouple a good bit, before getting to the reception. Dinner is not dare served before the newlywed pair is announced. No worries though, guest are promptly served a variety of different appetizers such as: Tapas and Artichoke Flowers. Food in Spain equates to love and passion. Each dish is made with great care, and is served as soon as they have announced the newlyweds. Seafood is still the preferred choice as a main dish. As for desserts, unlike the French, cake is served for dessert. And..., in staying true to their cultural, historically wedding cakes are cut using a sword. After dessert has been served, and the bride has tossed her bouquet, is when the traditional dance takes place. 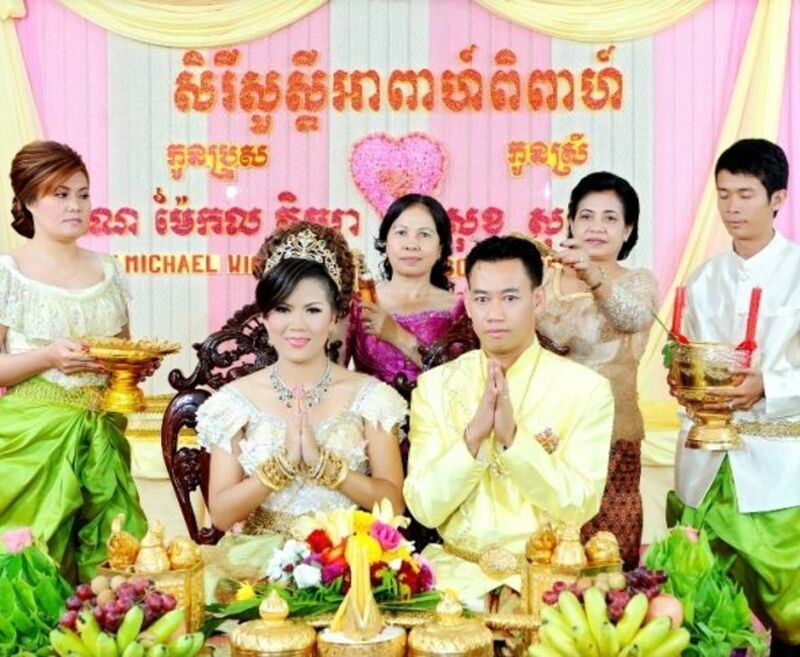 One of these truly unique ritual dances is between the bride and groom and their guests. Known as the traditional "seguidillas manchegas" dance, here in America, this is what we call the money-dance. What did you find most informative about this hub? The Reception Foodie selection with recipe? 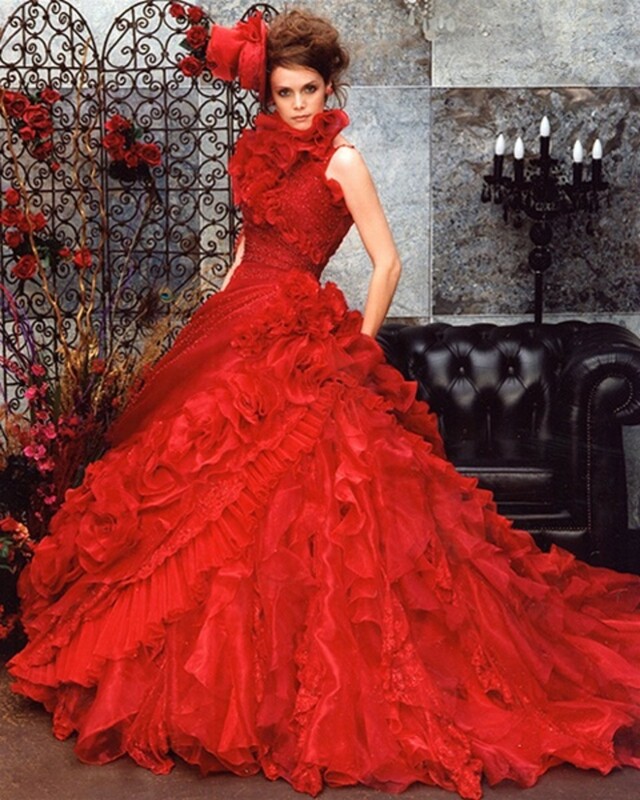 The bridalwear resources featuring exclusive Spanish Designers? Cultural traditions and regional hertiage information? Midwest American wedding guest are often presented with a small token of appreciation, known as a wedding favor. They come in a variety of packages, shapes, and sizes. I have attended weddings where there were tulle pouches of chocolates and almonds to a long stem rose sitting by my name card. One of the most memorable favors was a scribed poem, written by the bride's mother. Whatever the budget or choice, it is considered proper etiquette and customary to leave a token of appreciation and to say, "Thank You." Since I was born in Rota, Spain in 1970, and am from mid-Missouri; I decided to end this wedding article with a small token of appreciation for my readers, and to say "thank you" for taking the time to read my hub. 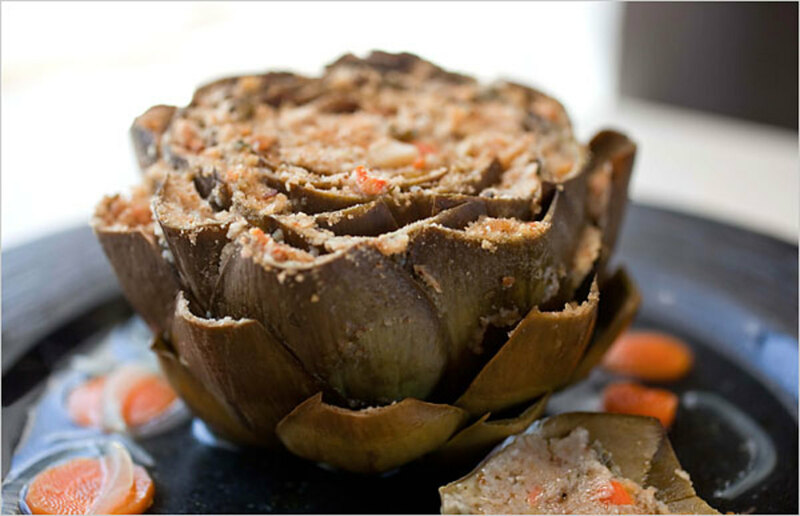 Presented below is a complete recipe for one of their favourite side dishes/appetizers- stuffed Artichoke Flower. Artichoke Flower Stuffed with Ibérico Ham in Clam Sauce RecipeRecipe courtesy of Spain GourmeTour magazine. Preparation: (Artichokes) Wash the artichokes, remove the hard outside leaves and cut off the tips. Deep fry in oil that is not too hot so that they cook inside and open up into a flower shape. Fill the inside with the wafers of iberico ham and serve with the clams and the sauce. Preparation: (Clam sauce) Heat the oil in a pan and gently fry the chopped onion and parsley. When the onion is beginning to turn brown, add the flour and stir without letting it darken. Remove from the heat, add the sweet paprika and bay leaf. Sprinkle with the wine and water, season and cook for 15 minutes, stirring occasionally. Wash and drain the clams, add to the sauce, cover the pan and leave over the heat for the clams to open. Check the seasoning and adjust accordingly. Thanks! I'm glad you enjoyed the article. I like the idea of a red cake. Awesome hub! A beautiful article and one well noted. I'm glad I could be of help Lola! This site really helped with my Spanish Wedding assignment! Hi, what a nice hub! I like this topic. You addressed the different aspects of Spanish wedding very well. The wedding gowns are exquisite and classic. nice sharing about Traditional Spanish Weddings. it give me a lot of information. nice picture also.I never seen before. Also thanks for great recipes. That is one elaborate dress! The red one is very pretty.